November’s birthstone is the precious topaz, inspiring poets to write about a gemstone that dazzles through a range of magnificent autumn colours – shades of yellow, pink, purple, red, brown and black, the rich colours of falling leaves. 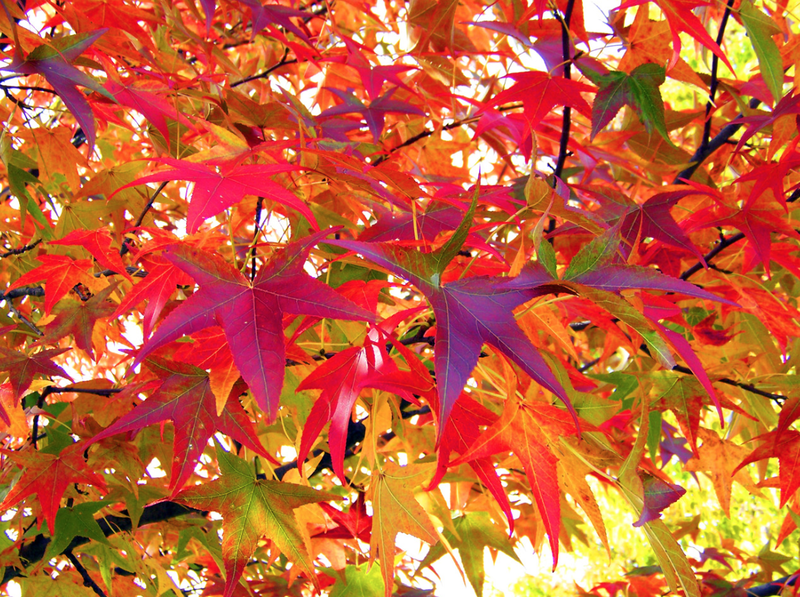 In the Northern Hemisphere, these colours of autumn are the shades of the harvest and many a designer’s inspiration. The origins of the word ‘topaz’ are lost to history, increasing the mystery around this stone. Theorists ask if it comes from the Romans, who might have found the stone on a small island the in the Red Sea called Topazos. Some postulate it came from the Sanskrit word “tapas”, which means fire. The Hebrew word ‘tapooz’, an orange fruit may be the answer. Whatever the true origin of the word and the discovery of this wonderful gemstone, the topaz has much to offer its wearer with its rich variety of autumn colours and fascinating folklore and history. The Romans associated topaz with their King of the Gods, Jupiter. They believed that if topaz was near poisoned food or drink it would change colour and alert the stone’s wearer to the danger. Set in gold and worn around the neck, topaz was reputed to dispel bad omens, heal poor vision and calm anger. In Egypt, topaz with its brilliant golden glow and fiery intensity was symbolic of the sun god, Ra, giver of life. During the Middle Ages, the topaz was used mostly by royalty and clergy. In the 13th century it was believed that a topaz engraved with a falcon would help its wearer foster the goodwill of kings, therefore bestowing peace and prosperity to the land. The topaz was often used in the crowns and rings worn by rulers, dignitaries and royalty. 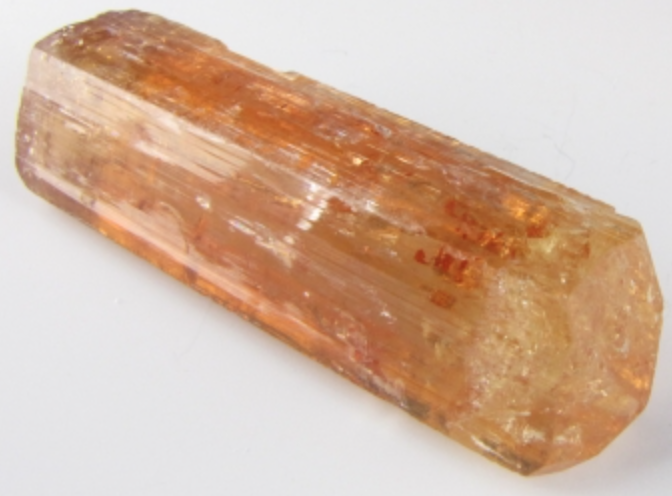 Topaz’s folklore suggests it was a very powerful and magical stone indeed. It was believed to strengthen the mind, increase wisdom, and prevent mental disorders. Powdered topaz, added to wine, was used to prevent asthma and insomnia. A cure for weak vision called for immersing the stone in wine for three days and nights, then rubbing the liquid on the eyes. It was reputed to make men handsome and intelligent and sterile women fertile and happy. The topaz was believed to have the power to cool boiling water. However, it was also claimed that you could put your hand in boiling water after a topaz had been thrown into it and retract it again uninjured. Perhaps one might be prudent not to rely on the miracles of topaz! The November birthstone is known for its associated qualities of strength, tenacity, dedication and resilience. The gemstone is used to enhance spirituality, promote wisdom and bestow clear thought and reasoning prowess on the wearer of the stone. The most prized and valuable colour of topaz is called Imperial topaz after the Russian Czars of the 1800s and features a magnificent orange body colour with pinkish undertones. 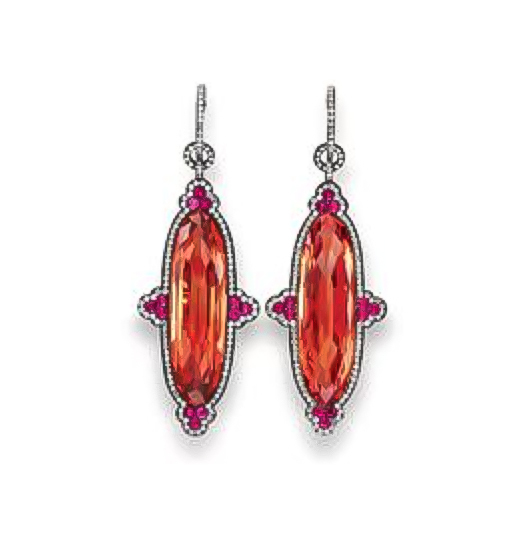 The most valuable is the red topaz. 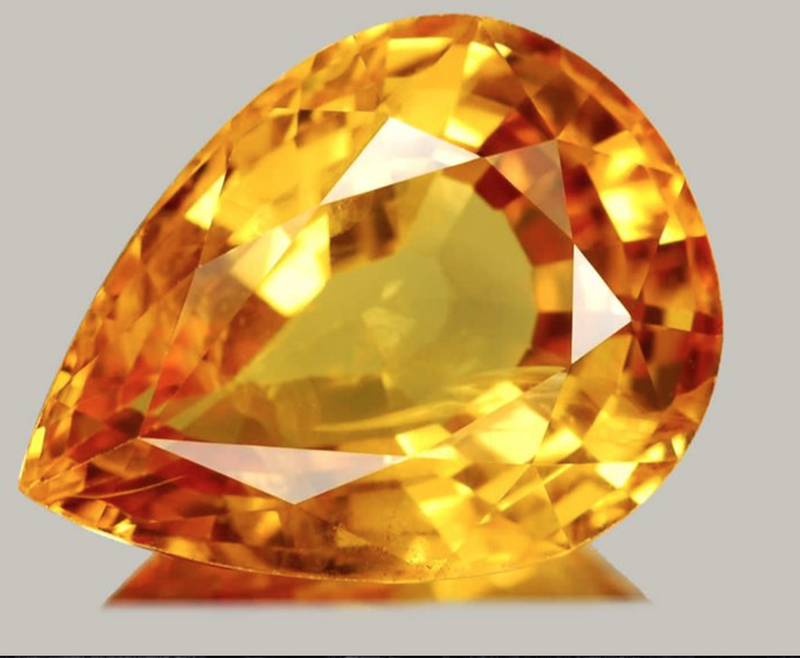 Pure topaz is a colorless stone and when brilliantly cut is often mistaken for a diamond. It can be treated through a recognised and legitimate practice in the marketplace, with heat and radiation to produce a strong blue colour, making affordable blue topaz. Untreated natural strong blue gems are extremely rare and valuable. Brazil is the largest producer of topaz in the world. Russia, the Ukraine, Pakistan, Scotland, Japan, Australia, Myanmar and Sri Lanka are a few important topaz sources and exporters. 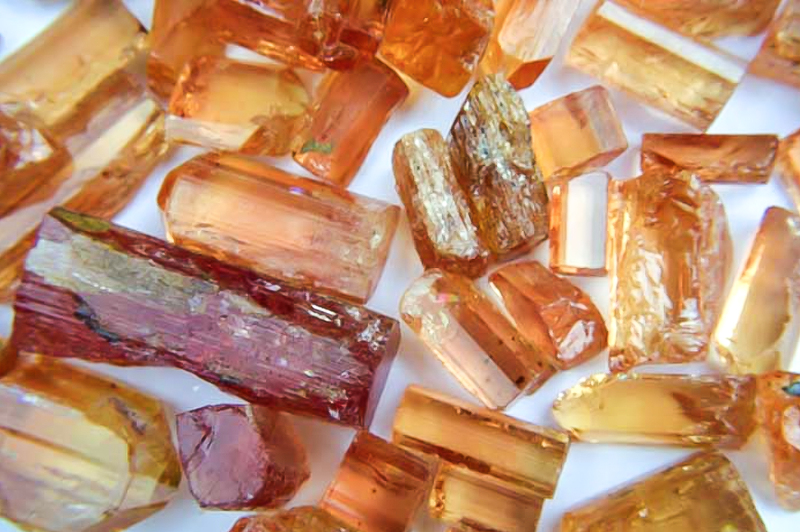 Some colours are unstable and can fade away; for example, brown topaz mined in Siberia can be bleached by sunlight. Make sure to source topaz from a gemologist who can attest to its provenance and explain how to treat it. The best way to clean topaz is with warm soapy water. Never clean topaz in a home ultrasonic cleaner or a steamer. It is important that the stone be protected from any sort of exposure to rapid temperature change, acids, or heat. A topaz stone will start to lose its colour if kept out in the sun or exposed to other kinds of heat. Topaz is hard and durable in jewellery. However, it can crack if struck, so handle your topaz with care. As well as its interesting history and folklore, consider the durability and value for money when thinking about a gift. With so many beautiful colours to choose from, topaz jewellery makes a special gift for a birthday, anniversary or special occasion. 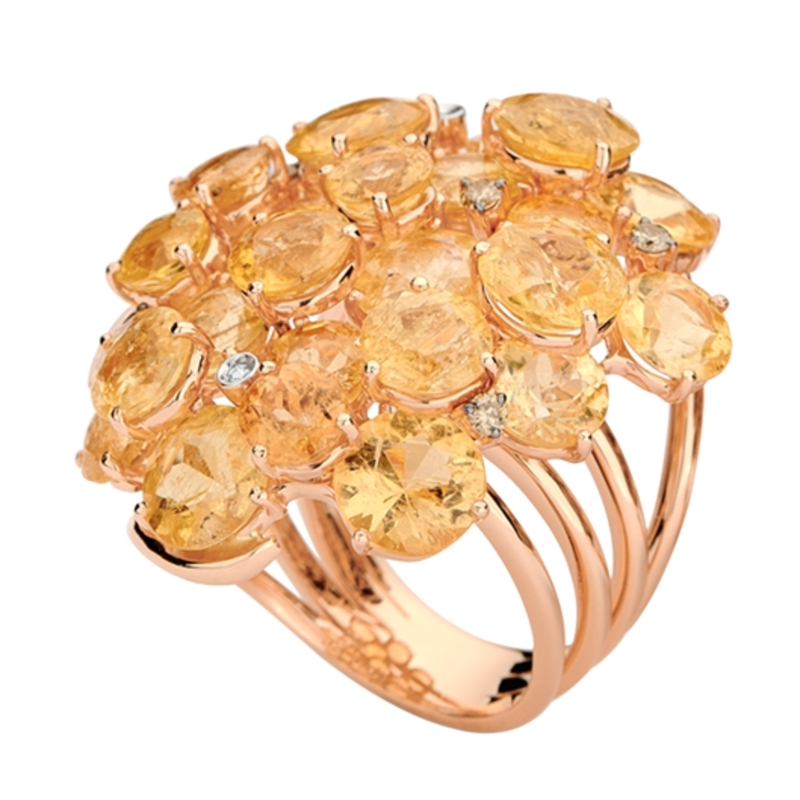 Imperial topaz is associated with the 23rd anniversary. In November, the beautiful hues of topaz match with the days of autumn. With this guide and the help of your favourite gemologist, you can make an excellent choice for your fall collection. Dede Marconato is a goldsmith and works at her studio bench in Sheung Wan, Hong Kong. Dede is also a Graduate Gemologist from the prestigious Gemological Institute of America. If you are interested in learning more information about gemstones or designing a custom piece, please contact her at info@dedemarconato.com.